Emalynn Tate, Helen Wagner, Carol Heilman and Kathie Harvey. Janice Johnston and Claire Duckett. Wellmore team members Jack Myers and Emilee Padget, lifestyle advisors, and Adam Sears, director of creative dining. 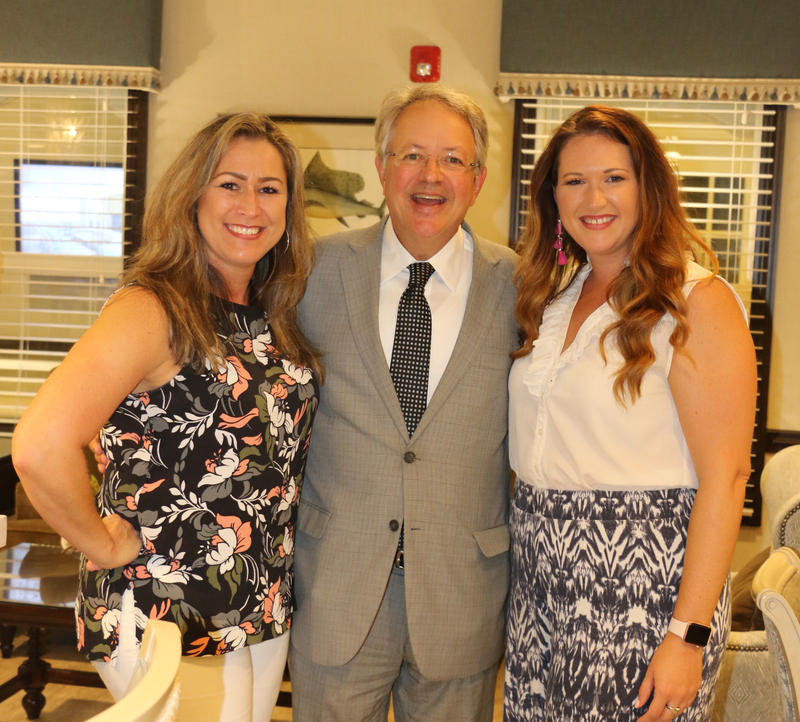 Heather Swan and Melanie Lawrimore pose with Charleston Mayor John Tecklenburg, who performed songs on the piano for the crowd. Tiffany Vanek, Laura Rayl, Tammy Cobb and Joel Cardwell. Wellmore of Daniel Island hosted “Cocktails for a Cause” on Thursday, Sept. 6 to raise money for the upcoming “Walk to End Alzheimer’s” event. Wellmore offers a full continuum of care at its facility, including assisted living, skilled nursing, short-term rehab, and Alzheimer’s and Dementia care. The “Walk to End Alzheimer’s” is slated for this Saturday, Sept. 15 at Riverfront Park in North Charleston.